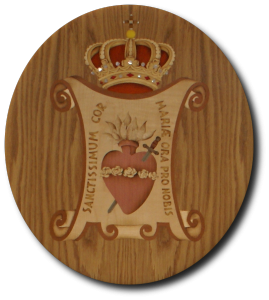 The Congregation of Missionary Daughters of the Heart of Mary was founded by Mother María Güell and Puig on 14 September 1899 in the Hospital of Cervera (Lleida) belonging to Solsona’s diocese (Spain).. The nuns of the Congregation, under the impulse of the Holy Spirit and united to Jesus Christ, seek God’s glory, their own sanctification and the salvation of all men. As a founder, María Güell left a CHARISMA to her Institute, recognized by the CHURCH. It is the following of Jesus Christ on the path of the Evangelical counsels. Living the Gospel in the exercise of charity, with simplicity and humility. Who provides the model and light for living out such charisma? The Virgin Mary, so simple and humble of heart.